Large plate. Blocky rim has slightly convex, offset upper face that forms pointed lip, convex outer face, and flat lower face with sharp offset. Straight wall with convex floor; distinct chamfer on wall above and outside foot is slightly angular. Plain, slightly splayed foot thickens upward toward wall; two fine grooves on exterior. Slightly granular fabric with reddish fabric with frequent small pale inclusions, there is a gray core at thickest part of rim and towards floor, this is slightly unusual. Thick somewhat smoothed slip on interior; thinner with brush marks on underside. 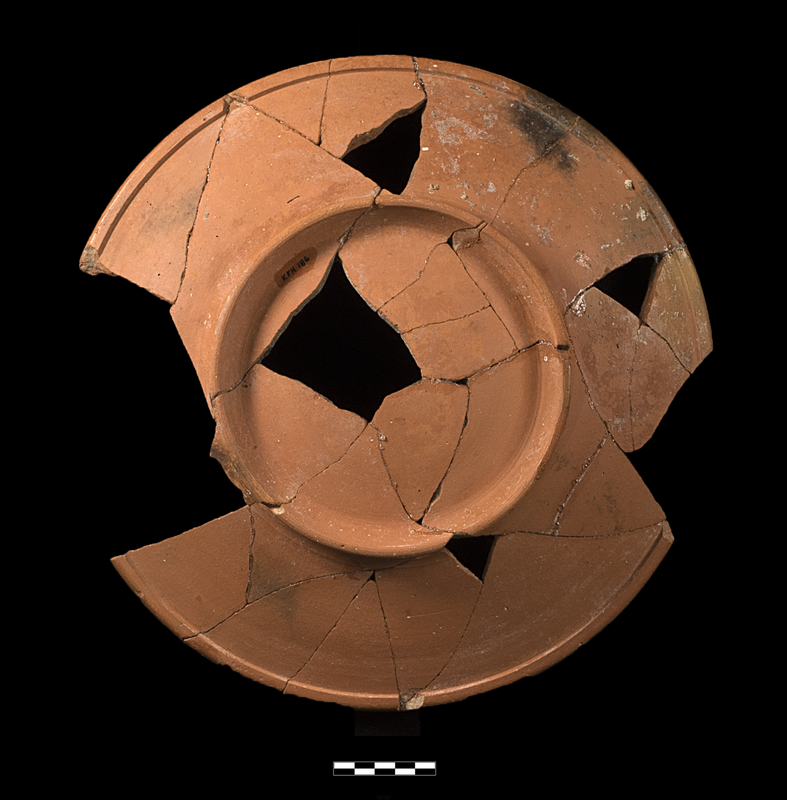 22 joining sherds preserving profile over 75% of vessel, including entire foot and profile and most of rim. Clean breaks but fracturing before discovery; few specks of encrustation. 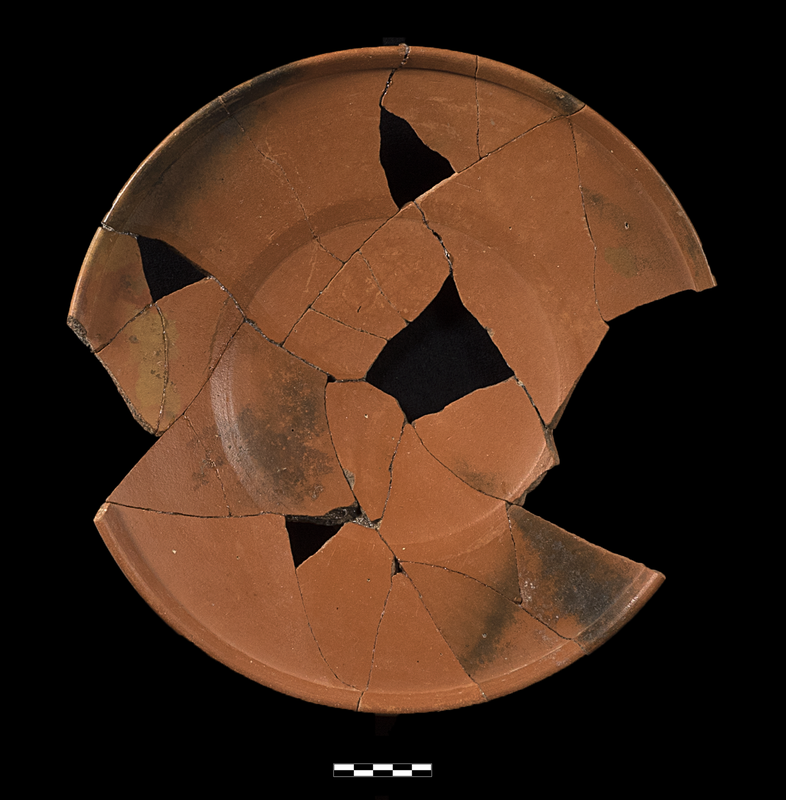 Black stains from burning on many sherds.